I can't believe it's been 6 months since my last post. It's been a long, hot summer, but quite a productive one. After the renovations were finally finished I had to spend some time making curtains so my quilting had to go on the back burner for a while. I no sooner finished the curtains when I had to put everything away again to get the house in order for my brother-in-law's visit. He returned to Scotland last week and I've been able to get my machine set up and get back to the quilt I started at the beginning of the year. No photos yet, but it's another quilt using the Japanese taupes. I did manage to finish another quilt that had been hanging in the closet since before Mom passed away. Karen Veenhuizen of Oakville did the quilting, and she did a fabulous job. Here's a photo. No name for the quilt yet... and the binding hasn't been sewn on yet! Another gorgeous finish!!! Good to see you online again. Thank you Susan. It's good to hear from you. Are you still busy with your knitting? Done any quilting lately? Another lovely quilt. I like the way the tiny pieces in the border balance the larger pieces. 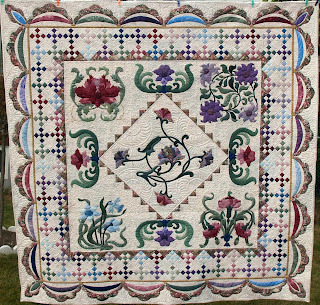 A beautiful quilt and lovely quilting too. Carolyn, it's wonderful to hear from you. Thank you for stopping by and leaving me such a lovely comment. What have you been working on lately? 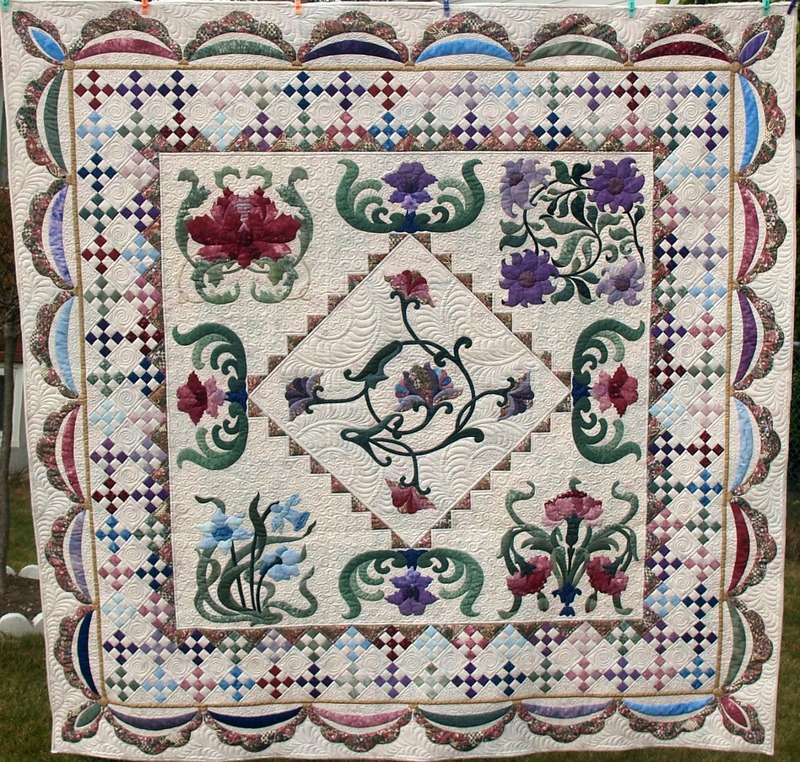 Have you entered something into this year's Auckland Quilt Festival?